When we were packing up our life for a tree-change we realised we would have to downsize significantly. This meant saying good bye to a great deal of household waste we no longer had a need for. We rang Big Bin Hire for a skip hire quote. Based on their customer service and prices, we had not hestitation when booking them. Our skip bin arrived on time, in our driveway as requested. The Big Bin Hire driver discussed the skip bin size and position to suit our loading and access requirements before dropping the bin off. Once we had loaded the skip bin to capacity, we simply sent Big Bin Hire a text message and they collected the skip bin on time as requested. While skip bin hire is a minor cost and task in the cumbersome process of moving house, it is important to ensure you deal with the right company to avoid unneccesary costs and possible losses. I would not hesitate in using Big Bin Hire in the future. Their customer service is exceptional, they deliver on time for a great price and will ensure you have no hassles when removing your waste. 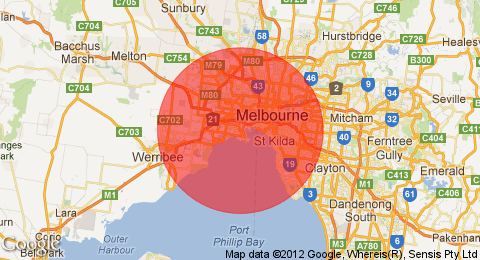 If you are in Melbourne looking to hire a skip, call Big Bin Hire on 1300 22 44 73.